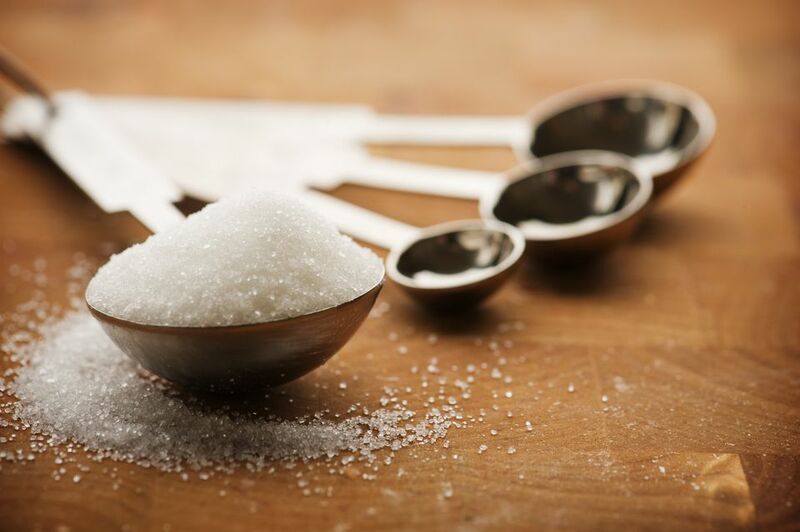 Sugar syrup is used in a lot of Indian sweets and desserts in varying consistencies. Terms like one- or two-thread consistency are often used in connection with this syrup and can be very confusing. These terms are used only because the use of a candy making thermometer is not common in Indian homes. This simple yet very effective technique is used instead, to tell when the syrup is ready for a particular dessert. Mix the sugar and water in a heavy-bottomed pan and set up to boil, on a medium flame. When the sugar is all dissolved, add the milk to the syrup (the milk causes any impurities to surface and be removed) and allow to boil some more. A scum will be formed on the surface. Remove this by skimming the syrup with a spoon or straining it through a metal sieve. Keep testing the syrup to check its consistency. To do this dip a wooden spatula in the syrup and lift out. Allow cooling for a few seconds as it will be very hot at first. Now touch the syrup with a clean forefinger and then touch your thumb and forefinger together and pull apart gently. Keep boiling the syrup gently till you reach the consistency called for in the recipe. Stages progress fairly quickly after a point, so check frequently. Half-thread consistency is when a single thread is formed and breaks immediately when your forefinger and your thumb are pulled apart gently. One-thread consistency is when a single thread is formed (and does not break) when your forefinger and your thumb are pulled apart gently. Two-thread consistency is when two threads are formed (and do not break) when your forefinger and your thumb are pulled apart gently. This stage is also called the soft ball stage - when a drop of syrup of this consistency is dropped into a bowl of cold water, it forms a soft ball. Three-thread consistency is when three threads are formed (and do not break) when your forefinger and your thumb are pulled apart gently. This stage is also called the hard ball stage - when a drop of syrup of this consistency is dropped into a bowl of cold water, it forms a hard ball.